Lee Rogers, acclaimed international writer, director and producer has exclusively signed with iDcreations for shoots in Pakistan. Synergyzer spoke to him on the sets of the recently launched Jazz 3G+4G TV commercial about directing commercials, music videos and longform narrative; and the challenges that come with such versatile mediums. Synergyzer: According to you, what is the biggest challenge of being a director who films for brands internationally? 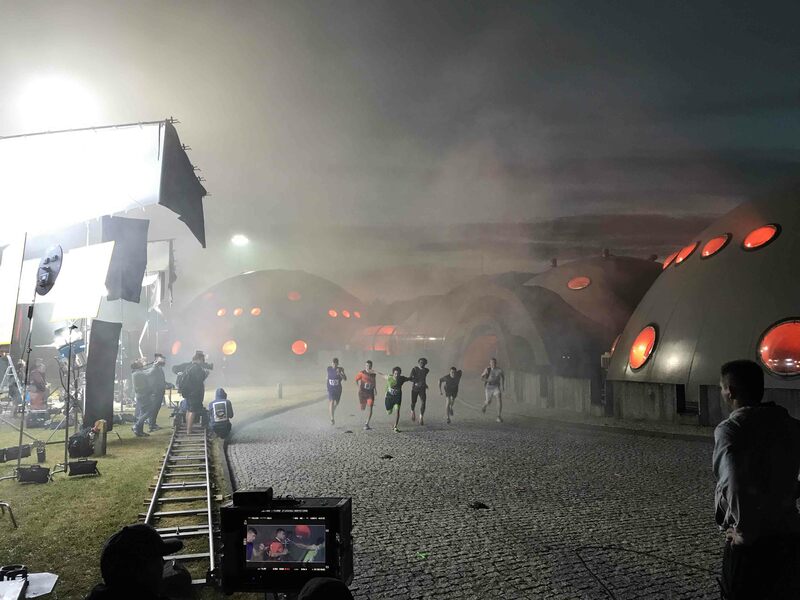 Lee Rogers: Unlike many other areas of visual arts, directing and filmmaking is a very collaborative medium, so I’m relying on many people in order for me to deliver the film that I have promised to the agency and client. I see my job as steering the ship creatively and getting the best out of the people and resources I have, but when you are working in new regions and with inexperienced crews, it can be a challenge to deliver the ‘vision’ on time and according to budget. Of course, that’s why a great producer is vital to successfully navigate the whole process. I need to trust the producer and know that they will deliver the equipment, crews, locations and resources that are required to fulfill the client’s brief. If there are any limitations in those areas, I need to know them too, so I’m working towards an achievable plan and shoot schedule. Filmmaking is somewhat like planning a military exercise and the director is essentially the General. So without the right data, intel and planning, the wheels can fall off the wagon! That was a long answer to a short question; I guess you can say that the biggest challenge is working with an entirely new team. That being said, it is also very exciting, because you are thrust into a new and complex scenario where there are a lot of barriers to overcome, the stakeholders have a lot invested (often their jobs are on the line), hence it is exhilarating and satisfying when you work together as a team and pull it off! 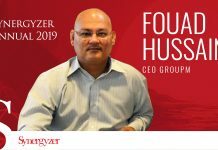 Synergyzer: Where do you think Pakistan stands in terms of talent, equipment, skill set and experience when it comes to direction? 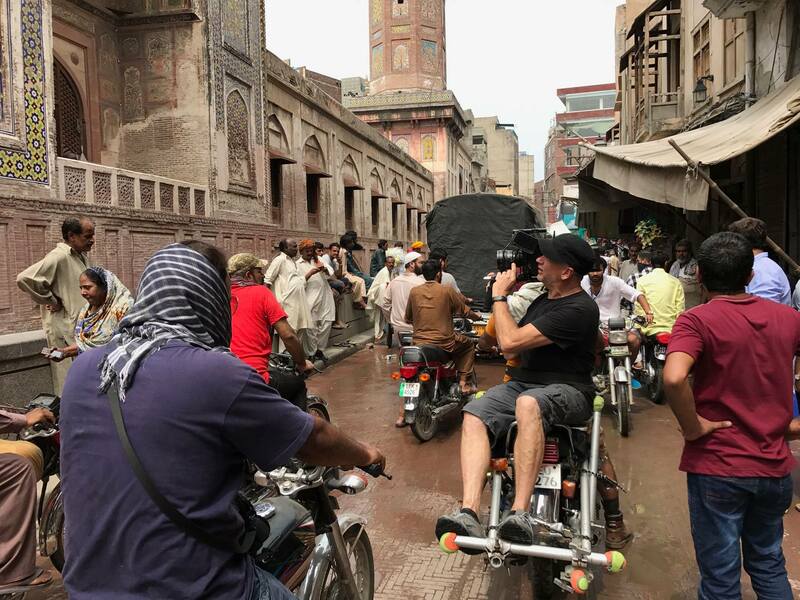 Rogers: The main challenge at this point in time in Pakistan is that if you are shooting outside of Karachi or during a busy season, you will not be able to find experienced specialist crews and the array of equipment like you would find in major production hubs like Los Angeles, Sydney or Bangkok. For instance, when recently shooting the Jazz 4G campaign, the camera and lenses I wanted weren’t available in Lahore, so they were flown in from Karachi. We had the budget to make this happen, but when working on smaller budget projects you can’t afford such luxury. I found the Pakistani crews friendly, talented and passionate towards delivering good work, no problems there. What’s necessary is to develop depth in the various specialist roles and departments including Cinematographers, Focus pullers (camera assistants), Gaffers (lighting), Grips (camera movement), Production Designers, Editors etc. ; since these are all technical roles that require experience if one wants to be an expert in these. That being said, we were blessed to have the A-team on our production! I regard the Pakistani production company, iDcreations, very highly. The team navigated the logistics of a complex project within a tight timeline and has a habit of making the impossible, possible. A scarcity of quality film studios is probably the area lacking the most at this time. Synergyzer: How has your work and expertise progressed over the years? Rogers: I started out as talent in my teens and was cast in over 20 TVC’s, including global campaigns for Coca-Cola and M&M, working with great world renowned directors such as Alex Proyas and Jeffrey Darling. Watching them in action inspired me to follow their career path; I trained as a video technician with a small production company in Sydney, and on weekends used the company cameras and edit suites to make music videos for musician friends. The third video that I directed went on to be Number 1 on the Australian charts, which led to more high profile projects and eventually, advertising agencies began approaching me for directing high-end commercial films. Initially, the offers were for visual based work, for the Beauty and Automotive sectors. However, I was more interested in storytelling and performances rather than just merely focusing on distinct visuals. I completed a screenwriting course at UCLA – University of California, Los Angeles, USA – which lead to writing, directing, producing and starring in the movie, ‘Dust Off The Wings’. Synergyzer: How would you describe your style of direction? Rogers: I’ve been fortunate over the years to work across many advertising categories including Beauty, Automotive, Drama, Comedy, Action and Sport. Hence, I can’t say that I have one identifiable style that fits all. I formulate the best approach and style for each project depending on the brief and territory. A market such as Australia tends to have a more naturalistic look and feel than most Asian countries, so you need to be aware of these subtleties and adjust as needed. I guess the common denominator to my direction is to seek out captivating and authentic performances. I’m known as a very fast director, and often, I’m brought in on projects that have challenging schedules or with celebrities who are only available for a short window etc. I’m very prepared, but always open to those magic moments which come from bringing all the elements to the boil at the right time. Synergyzer: How have you, as a director, and your process changed over the years? Would you say that your failures have played a major role in making that change? Rogers: When I was starting out, I fretted over every facet of the production and was worried I would blow the opportunities I was given, and I felt I had to win every ‘battle’ along the way. With time and experience I learnt to ‘pick my battles’, be very clear when briefing various departments and then to allow people to do their jobs. I learnt to utilize talented people around me and help them deliver their best, whether they were performers, cinematographers, designers, etc. Now, I don’t care where the best ideas come from, now I encourage people to do everything we can do as a team to get the best outcome onscreen. Another major lesson I learnt the hard way was, that it’s quite common for people in the production business to have a combative approach towards agencies and clients; a ‘we know better’ kind of an attitude, going as far as disregard in a number of situations. For instance, a top director said to me when I was starting out, “Don’t shoot too much coverage, just take the shots and angles you need for your vision. This way they can’t recut and mess it up in post (production)”. I did exactly that for an ad shoot and when the edited version came, the agency as well as the client wanted to see it cut (edited) in a different way using another angle. I did not have that shot and they were very unhappy. Hence, I learnt the valuable lesson that shot coverage and options are your friend! And at the end of the day, it is the client who is paying and it is the agency which is bringing me in to help those clients achieve their marketing goals for the campaign. My job is to add value every step of the way and to make a campaign which WORKS for the client. Synergyzer: Longform narrative is a compromise between art and commerce. Do you see budgets as a limitation or as a challenge? Would you say money, either having it or not having it, has impacted your style of filmmaking? Rogers: Most of the music videos and longform work which I’ve directed over the years have been my own productions, so it is ingrained in me to consider the budget when deciding upon the best creative approach to take. For instance, with my movie, Dust Off The Wings, I wrote the script around the locations, talent and crew size that I knew was achievable within the small budget. While certain aspects of creating content have become cheaper, some have definitely become more expensive. Making quality narrative for TV is undeniably costly, and just because a project is meant to be ‘viral’ or for online use doesn’t make it cheaper; the same elements are required to deliver good work. If you have the time to plan and be clever about how you approach a job to achieve it on a tight budget; you can pull off miracles. But if the turnaround time has to be very fast, then you usually need money to throw at it to make things happen quickly. I’m an optimist, so I usually see the opportunity and positives in most situations, but it really just comes down to the script and schedule as to whether a project is a challenge or not just worth bothering. Synergyzer: It is said that there are only six stories, maybe twelve. How do you keep it original and fresh? Rogers: It has also been said that the future is a blank canvas! I’m a naturally curious person and am interested in people and what makes them tick, I don’t think there’s any shortage of stories out there worth telling. Synergyzer: Since you are a writer and a director, you’ve (assumingly) dealt with both a writer’s block and a creative block. How do you deal with both? What is it like to have a creative block, as a director? Rogers: As a writer and a director, I am constantly making choices and solving problems. Sometimes it can be overwhelming or confusing as to which option to take. If this happens, I just bring it down to the simple objective I’m seeking; whether it is a line for a dialogue, a scene or a color for the actor’s shirt. Once I am able to answer that question, I usually have a firm datum to guide me for the next decision I have to make. If that doesn’t work, I do something different to take my mind off the problem, then come back to it with fresh eyes in a new unit of time and the choice usually becomes obvious.